Weedmaps, despite semi-cult status in the U.S., is struggling to establish a strong presence in the EU. If you are a European, chances are if you hear the name “Weedmaps,” you are unlikely to know what this means. A map for weeds? A green gardening site? Who cares. On the other hand, if you are a marijuana user in the United States, especially if you live in a state where marijuana (for whatever purpose) is legal, chances are you know exactly what this is, if not have used it at some point. Weedmaps was the first online listing service (frequently billed as “the Yelp for pot”) that has helped users find marijuana dispensaries (legal or not), as well as doctors who prescribed medical marijuana since 2007. More recently, it has also added advertising for delivery services. Founded in California, a state where the battle over marijuana has raged since 1996, the online site, which now also functions as a news service, is one of two national services (Leafly is the other) that connects people looking for weed to people who can help them get it. The service makes money by charging advertising fees. And it has made a great deal of moolah doing just that. Within a year of its founding, in 2008, the company was bringing in $300,000 a month. Even though they never touched the plant, their bank accounts were frozen for months – the ostensible reason was because they had either stolen the money or were doing something illegal. And from the perspective of some people, they still technically were. They were enabling a business that has transformed, literally in less than a decade, from a semi-legit, mostly undercover, mom and pop industry in a handful of states, to a multi-billion dollar national conversation that is rocking the conventional wisdom on both the medical and recreational fronts. There are many who believe that the introduction of Weedmaps and then its competitor, Leafly, helped drive the legalization movement in the United States in critical ways – starting with organization and location services (which drove sales), but moving quickly way beyond that. 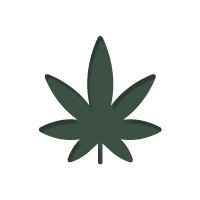 No matter the criticisms levelled at the company subsequently, Weedmaps also, in particular, has poured money into legalization causes and campaigns from California to Colorado. NORML (the largest and oldest advocacy group for legalization in the United States) moved into its first offices outside of the East Coast (to Denver) in a building owned by Weedmaps, helping to shore up the organization’s presence across the country. In 2014, also the same year that Colorado became the first state to legalize recreational sales, the company managed to spark a national conversation when it paid $50,000 to rent ad space in Times Square, New York belonging to CBS broadcasting company on April 1, (April Fools Day) only to have its rights to display yanked at the last minute by CBS. Either way, the company won. They managed to bring the topic of even discussing marijuana use into a new realm. By the end of the summer, their competitor Leafly, was allowed to pay the same amount of money for placing a full page ad in the New York Times during a weeklong series published by the paper on one of the hottest topics in the U.S. It also poured money to the tune of millions of dollars into state legalization drives, including in California. Recreational legalization in the country’s largest state will absolutely drive the federal reform debate as well as push the last holdout states in the U.S. over the legalization line (for at least medical use). No matter what happens this year in the fall elections. As a result of its unconventional operations, not to mention the money they have made pursuing the same, the company has pushed the envelope of many of the hottest topics in the legalization fight in the U.S. But outside of the U.S., the company, which clearly has international aspirations, has stuttered. In Europe, most people, even pot connoisseurs, do not know what it is. Why? While the company has managed to establish a beachhead in Spain, where the industry looks more and more like the coffee shop culture nurtured by the Dutch, beyond these two countries, Weedmaps is no more than a news and reviews website. It is hard to understand what its relevance or importance really is. If a potential user in Germany or France, for example, looks for a “prescribing doctor” in their location, the closest medical practitioner listed who prescribes marijuana is hundreds of kilometres away (in Spain). What gives? The biggest issue of course that Weedmaps faces is European regulation. Rather than being a decade “behind” the United States in terms of legalization, the company faces a reality that will never change. Certainly on the medical front. The first problem is that medical legalization is not taking the same path here as it is in the United States. As medical legalization proceeds, it is clear that doctors will be able to write prescriptions for users who will then redeem the same in regular, established pharmacies (who don’t need to advertise). Neither doctors or drug companies are also allowed to advertise in Europe. Online pharmacies are also prohibited in several countries (Germany being the most notable) and delivery services for weed an unknown and unneeded phenomenon, particularly where national insurance will pay the tab of a taxi ride to the local pharmacy in the cases of the chronically ill. Failing that, there is also very good public transportation. In other words, the basic business model of Weedmaps (and Leafly) will not work here – certainly not until recreational legalization. And even then, not in the same way, with the same potential for revenue, not to mention influence. Yet it is not just Europe where Weedmaps faces problems these days. The company has been stung lately, in the United States, by press coverage claiming that the vast majority of its reviews (posted to help users find not only local dispensaries, but good ones) were posted from a single IP address. There are others who criticize the company’s influence on shaping legislation, particularly in California. Still more complain about the fact that there is no guarantee whether the company’s listed outlets are legitimately registered (still a major, although increasingly unimportant concern, particularly in states where marijuana is now legal). Regardless of the criticism however, no matter how misinformed or accurate it may be, the company itself is clearly a product of a time that may be passing (even in the U.S.) With legalization, marijuana shops and dispensaries can reach patients and recreational users in a growing number of ways. And in Europe, the conversation is always going to be different. Medical use is the first conversation on the table. And much like the United States, if not Canada, until that conversation is had, recreational reform is no more than a regional whim of progressive mayors in cities with a large and established (albeit) illegal drug trade. Even in Germany, long the home of academic studies promoting the idea that schizophrenia and marijuana use were inextricably linked, it is also clear that the debate has entered a different phase, although it was always in a different place thanks to the lack of a harshly prosecuted drug war. When Montel Williams, a well-known U.S. talk show host who has long advocated for medical use (he uses it to treat his Multiple Sclerosis) was found carrying a small amount of cannabis with him as he travelled through the Frankfurt airport this summer, not only was he not prosecuted, but as soon as he produced evidence certifying that he used it for medical reasons, he was allowed to travel through, with his stash, unharmed and certainly unprosecuted.